First golden rule: Be open to new learnings –then relax! If this is new to you – Remember that there is a first time for everything. And over a period of time, you will get familiar with disability. Increase your awareness, and find out the needs of your employee with vision impairment such as workplace solutions and removing barriers. Have similar expectations and targets just like you would do for other employees. Set expectations clearly and ensure inclusion for the employee with vision impairment just like you should do for all. Treat each person in your team including persons with disability as individuals – with different talent, abilities and needs. When they are enabled, they can give their best. Can I expect visually impaired to move around within the campus? I am worried about their safety! Will visually impaired person expect relaxation in target or expect pity or sympathy? How do I assign work? For easy induction and on-boarding, provide a scribe who can assist jobseekers with visually impairment with paper work if your Induction / Onboarding process involves filling in hard copies. Your visually impaired or low vision colleague will require orientation to workplace to become comfortable and independent. 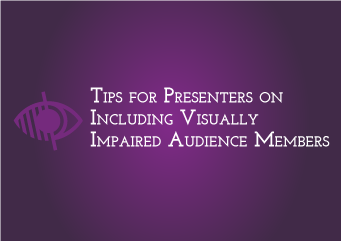 Watch the following video to understand how to orient your visually impaired or low vision colleague. Encourage your visually impaired colleagues to use their cane inside the premises to be efficient in moving around. Screen readers are software solutions to enable persons with vision impairment to use the computer. 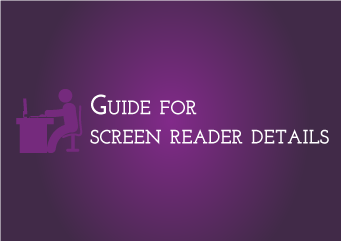 Installing screen readers does not violate security compliances. There is no threat to your data because of screen reader. In the initial days, the team and manager may not be aware of how to get started with the employee with vision impairment. It is very important to understand more about your colleague with vision impairment immediately. We advise having a sensitization session for everybody in the team and HR and support staff. This is not a general sensitization but rather a specific session to get to know your visually impaired colleague and each other better using the video shown below. Make sure your colleague gets time to review the video and be ready with his or her points. Use this funny video to sensitize your team about do's and don'ts on interacting with visually impaired. 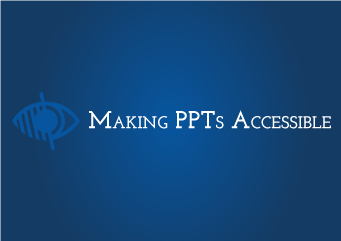 It is important that your visually impaired employee is included well in the training. 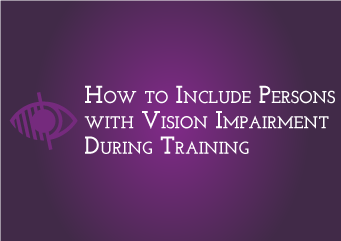 Inclusion will not come naturally since the trainers may not have trained a visually impaired before. It will require being alert. But interestingly if the trainers and other employees take this up, it will help them in building this skill for working better with all employees. Watch a video to understand how to orient your colleague with vision impairment to new computer applications during the training. Inclusion during work is a process and not an end goal. It is a shared responsibility and just requires being aware. Find out the workplace solutions required for working on a daily basis. Ensure all applications are accessible. Watch out for barriers that your employees with disability may face in their daily work. 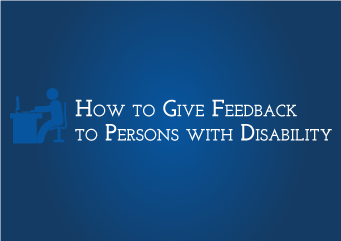 Find out what needs to be done to make things more accessible. 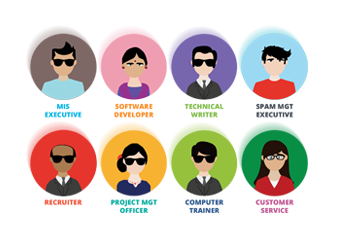 Are you worried that you don't have much experience in working with visually impaired? 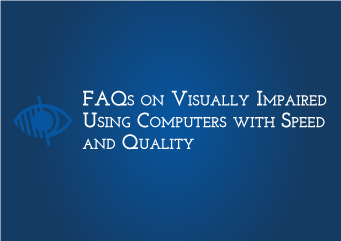 Do you feel you do not know how to create the right environment for employees with visual impairment? 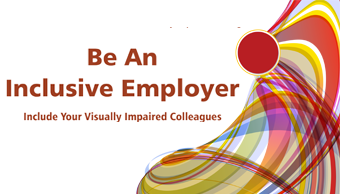 Can you set targets and expectations for visually impaired employees similar to what you set as for their sighted colleagues? The answer is yes! Step 7 - Can I expect visually impaired to move around within the campus? I am worried about their safety! Every person with vision impairment is different. Some may be good at mobility and some may not be very good at mobility. This is based on their environment, their own nature and when they acquired their disability. 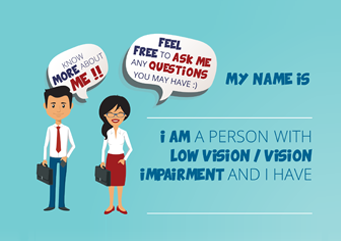 Find out the level of mobility and independence of your visually impaired employee during the sensitization session. If they are comfortable, then you need to become comfortable. If they are not comfortable, provide support till your visually impaired employees comfortable and becomes independent to move around. Step 9 - Will visually impaired person expect relaxation in target or expect pity or sympathy? The question to ask yourself is: do all employees react the same way regarding targets? The answer is that some are ok with targets, some don't like targets, some people ignore targets, and some want relaxation or use excuses all the time. Visually impaired are no different. The manager has to set expectations with all employees (including the visually impaired employee) and enable employees to give their best. 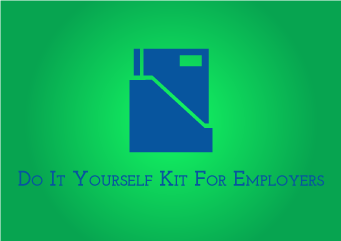 Step 10 - How do I assign work?